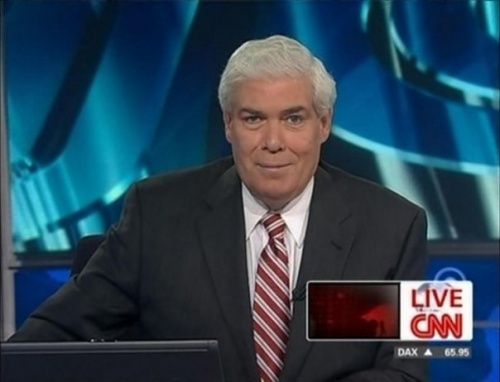 Anchor Jim Clancy, CNN International. clancycnn Clancy File #QOD : Would you cancel a trip to Europe or change your plans due to the new terror warnings? Tweet away! Tune in The Brief! Although a number of viewers responded to Clancy's question, the US Department of Fear would not call Clancy's experiment a success. We analyzed the responses only to discover that not a single respondent to Clancy's question choose to share anxiety. All Clancy got back for his efforts, by way of response, were foolish expressions of bravado. How to account for the disappointing response? It needs to be noted that Clancy's followers on Twitter are not the Fox News audience. They are CNN viewers. Studies show that compared to Fox News viewers, people who watch CNN tend not to be well informed about terror threats. On Fox News, even the most speculative threats get hours of airtime. Nevertheless, CNN is making progress in this regard (we were impressed by its special report on the risk of "cyber attack"). A more pertinent factor is that Clancy's show is broadcast on CNN International, which, compared to its stateside sister network, puts excessive emphasis on reporting actual news stories. Too much reporting of foreign news means too little airtime for interviews with experts about terror threats. However, most of the responsibility for the disappointing response lies with the journalist himself. Jim Clancy is not only a CNN anchor but a foreign correspondent with decades of experience in war zones from Beirut to Afghanistan. DoF maintains that foreign correspondents like Clancy have special responsibility -- a moral obligation in this dangerous world -- to show people that it's normal to be scared. Viewers needed to hear from Jim Clancy himself about his own feelings. The public yearns to hear from someone with Clancy's background that it's natural to feel scared when a Terror Alert happens. But Clancy neglected to express his own personal concerns about travel to Europe. Had Clancy given even a hint of his own personal trepidation about getting on a plane, riding the London underground, or strolling the Champs-Élysées, you can be sure that viewer anxiety would have spread like a shock wave. The audience would then have thought: if a guy like Clancy is worried, maybe I should be too. Fear wants to travel. Clancy blocked its transfer by being overly cerebral. Of course, thinking is not what journalism is supposed to be about. Great journalism is about helping audiences to feel. Fox News has this figured out, but CNN still doesn't get it. Incidentally, the new media model for the transmission of anxiety by way of Twitter, as discussed in the previous post, is British recording artist Lily Rose Allen. Jim Clancy and other journalists trying to reach out to the public on Twitter would be well advised to study her example.